PHOENIX — “Poachers are criminals.” If you talk to any of the Arizona Game and Fish Department’s wildlife managers, you’re likely to hear that phrase repeated as they go about their work as part biologist, part law enforcement officer. As part of their duties, the department’s 97 wildlife managers work to investigate potential poaching cases to ensure that the state’s most precious natural resource — its wildlife — is effectively managed so that future generations can enjoy the more than 800 species found in Arizona. Arizona’s Operation Game Thief program began in 1979, making it the second oldest initiative of its type in the U.S. The hotline (1-800-352-0700) was implemented at the time and takes reports of wildlife violations 24×7. 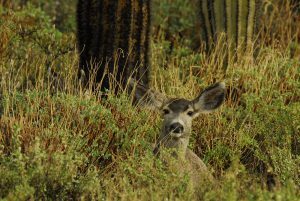 Wildlife is the property of the state, meaning that every Arizonan has a vested interest in protecting it. Anyone who witnesses a violation — whether it’s related to hunting, fishing, feeding wildlife or illegally possessing wildlife — is encouraged to report that information to Operation Game Thief and act on behalf of those who cannot speak for themselves, the wildlife.